If you have come to my website than obviously you want to earn money on internet. There are hundreds and even thousands of ways through which you can generate lots of income without having to go any office and with the luxury of home. But if you want to make money regularly on internet then its recommended for you to create a blog or website so that it will give you constant income. You can always start with free blogs on Content Management Systems like blogger.com, WordPress.com and start blogging within minutes. 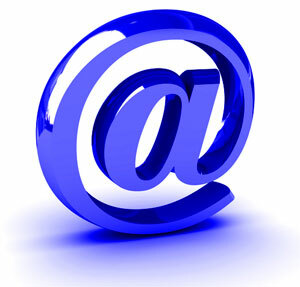 All you need is an E-mail address, just few clicks and your blog is ready to go. Blogger is owned by mighty Google and that’s why blogger blogs are index by Google very quickly so its better to start blogger blog. Also you can start WordPress blogs which are more beautiful and easy to handle with there plugins. But free blogs have very limited features and after all these blogs are not your property. If you not read the terms and conditions of free blogs carefully and you commit some mistake unintentionally than they may disable your blog any time without any reason. This means that all your efforts gone into waste and you have to start from scratch. So to avoid this problem its better to start your own blog. Before even starting your new blog process its time for you to decide that which type of site you want static or dynamic website like blogs. obviously if you want to earn money from online business like webhosting than static site is the best option for you because your site will not going to change every day and you want to present people same page so they get used to your site. Also static websites are quickly indexed by search engines specially by Google which is a good thing that they still prefer simple, clean websites. On the other hand if you want to write articles on different topics daily or weekly than blog is a good option for you. Also you don’t need to be a programmer or Designer in order to create blogs, every thing is ready for you to apply. There are many blogging platforms available to you as Blogger, WordPress, Drupal, Tumblr and TypePad but mostly blogger and WordPress are used so decide between one of them. Another discussion which is very common on internet and that is which platform to choose between blogger and WordPress. Blogger is owned by mighty Google so you can imagine that how best this service can be. The biggest advantage blogger has over WordPress is that it is totally free of cost means that you don’t have to pay for webhosting. But of course you cannot own your blog and Google has the right to delete your blog at any time but if you stick to there terms and conditions than its no problem. You just have to create free blog on blogger and redirect it to top level domain so that its looks more professional. Obviously you have to purchase top level domain which mainly be available in just 10 dollars per year. 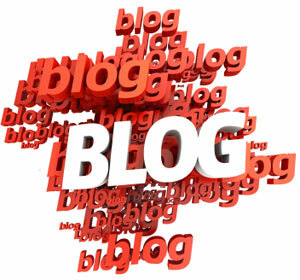 Read Article on How to Create Blogger blog here. Another option for you is to choose WordPress which is getting more and more popular now a days because of its more beautiful and professional themes. Also in WordPress you have the luxury of plugins which makes your life very easy. Unlike blogger you can also install this software on your own webhost. But the biggest problem with WordPress is that you have to buy your own Web-hosting and than install WordPress software on your web hosting service. You have to deal with databases, take security measures in order to secure your WordPress blog, make it Search engine Optimization friendly and have to face content duplication problems. You can create free blog on WordPress.com but they allow very limited functionality and you cannot even apply theme of your own choice. 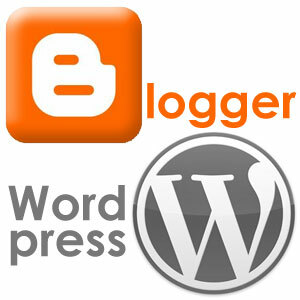 Read more about which one to choose blogger or WordPress here. The first real step towards creating your first ever blog is choosing domain name for your website. Now you may be confuse with Domain name and Web-host. Let me clear you that Domain name is the real name of your blog and webhost is the one where you store all your website files and data. You have to buy Domain name from webhosting company like Godaddy, Gossimer and than redirect it to your webhost name servers in order to run a website. Obviously you also have to buy Web-hosting so its two different kind of things you have to purchase. Normally you can buy these two things from same website so it may not be difficult for you to set up a website. Choosing right Domain name is the one which represents your bog content so its very essential that you choose some meaningful name as well as it should contain some important keywords of your website. Don’t pick name with too many keywords just try to choose name with 3 to 4 keywords and try to put Hyphen(-) in between them. Try to choose (dot)com domain name as people mostly know only this format. Choosing Right kind of Webhost. So its very good thing that you have decided to buy your own hosting so that you actually own website or blog. But there is another problem for you and that is which webhost to choose. There are very cheap webhosting providers as well as very expensive one too. So should you go for cheap hosting or buy expensive hosting for future protection. It all depends on your needs and the size of your website. If you are planning a basic website or blog than cheap hosting is good for you but if you want to run a blog which will give you constant stream of income than you should go for shared hosting package from some premium webhosting company. Now you may be wondering which premium webhost to choose but don’t worry there is an ideal WordPress webhost which will give you top quality webhosting at an affordable price.Hostgator is the premium webhost company which will make sure that your blog will up and running 99.9% Guaranteed and this is proven too. Many top blogs of blogosphere are running on Hostgator because its reliable and cost effective too. But for those who have not PayPal account to purchase domain and webhosting from Hostgator than you can also use Alertpay to buy Domains and webhosting online. For this you need Alertpay account and don’t even need to verify Alertpay account. There are many websites on internet which accepts Alertpay as payment option. Read my full article on Buy webhosting via Alertpay here. Redirect Blogger to Top Level Domain. So if you have decided to go with blogger than all you need is a Gmail Email Address in order to start you blog. If you don’t have one than you can signup for new Gmail account from here. After you get your Email address go to website Blogspot.com and Signup with the help of Gmail ID. Signing up is very simple just choose Title, Name and Template of your blog and you are done. You can get full details on How to create Blogger blog here. After creating your blogger blog its time for you to redirect it to some Top Level Domain because by default your blog address look like this yourname.blogspot.com which looks very ugly and unprofessional. So to make it look more professional redirect it to some thing like yourname.com or yourname.net etc. If your desire name is not avaliable in .Com and .Net domains than you may choose other formats like .Org, .Info, .In, .Pk etc. Read full article on How to redirect Blogger Blog to custom Domain name. Install WordPress in Just 10 Steps. 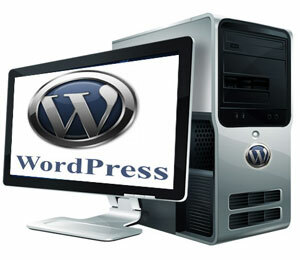 Many people like to go with WordPress but before you start you have to install the WordPress software on your webhost. Don’t worry its not that difficult at all. All you need is a WordPress software, Access to your webhost via some Control Panel like Cpanel or you must have your account Username and Password so that you install it via FTP software’s like Filezilla. First download the latest WordPress installation package from here. Than read my article on how to install WordPress in just 10 Steps here. After you have successfully install WordPress on your webhost its time to tweak some WordPress settings so that to make it more SEO friendly. Also you need to enable and disable some of the functionality to personalize it to your liking. Read more about 10 Essential WordPress Settings After Installation. Now that you have buy your own domain name and webhosting its time to decorate your blog with some beautiful and SEO friendly themes. If you choose blogger as a platform than i suggest you MyBloggerTricks.com where you can find Free Blogger Templates. If you go with WordPress than there are many free and premium themes available on internet which might suite you. WordPress themes are a combination of CSS and HTML so if you some basic programming language than you can also customize these themes to your liking. Here is a link where you can download 10 best free WordPress themes. Static website are very easy to setup as you only have to choose template, edit it and upload it to your server. One of the only draw back static websites have is that it cannot have the luxury of comment system by default. But you can add a comment system like HTML Comments, Intense Debit etc. For static websites i will recommend you JustFreeTemplates.com which will give you quality free CSS templates. How to do SEO (Search Engine Optimization). After creating your website or blog its the first thing that came into mind of every blogger and webmaster that how to make blog search engine friendly in order to get free organic traffic. Before you try to start SEO make sure that you have buy webhosting from a reputable company so that they provide faster speeds and 99.9% up-time so that you site will never face any problems. Also if your blog is loading in very less time that this is also good for SEO. Another thing is to make sure that your blog theme is also SEO friendly and if its a free one than you should be sure that it doesn’t contain any malicious code or java script. SEO is basically of two types, On page SEO and Off page SEO. As the name suggests On page SEO are the techniques that will be done on your blog like optimizing Title tags, Keywords, Description, Headers, Nofollow Dofollow etc. Off page SEO is the name of techniques which are done on other websites like link building, guest posting, comments on other blogs etc. So its a process of gradually but surly making your site search engine friendly so that you get maximum free traffic from search engines. 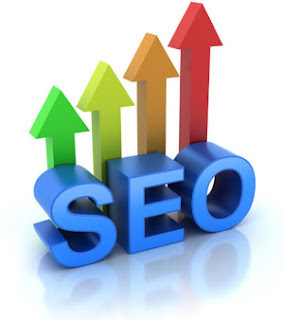 Read my articles on Top 10 On Page SEO Tips and Top 10 Off Page SEO Strategies.